Tim Rice, D.Min., LPC spent 15 years working in community mental health in NW Georgia. 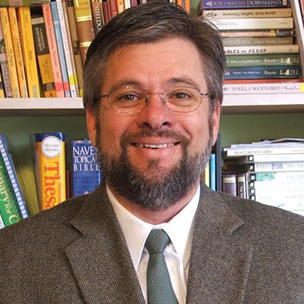 Since 2007, through his textbooks and live classes, Dr. Tim Rice has introduced thousands of high school students to the study of the human mind and prepared them for psychology class in college. Dr. Rice provides students a CLEP Test-level introduction to psychology. What’s different about this class is the worldview emphasis. In every psychology class, students learn about behaviorism, Freud, humanistic psychology, and now, evolutionary psychology. Dr. Rice’s goal is to help students recognize the worldview assumptions underlying psychology’s major theories and schools of thought. 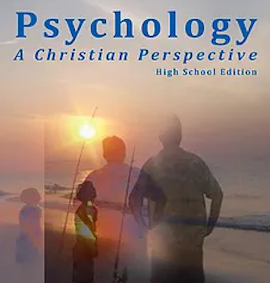 Sometimes, psychology professors seek to undermine the Christian worldview, to use psychology to ridicule and attack faith. Some may think that the Christian worldview is silly. A goal of this class is to help students understand why it is not silly. Dr. Rice’s goal is also to equip students to positively assert the Christian worldview as the most logical, internally consistent, and meaningful paradigm for understanding the big questions about the human mind. After all, it is God’s grandest creation. Dr. Rice and his wife Tina (Tina mostly) homeschooled their four children throughout their education. Tina writes product reviews and the “About Our Cover” selection for The Old Schoolhouse Magazine and is the Tie Dye Maven of TinasTieDye.com.